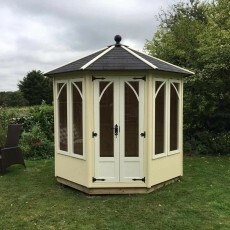 An Octagonal summerhouse similar to the Brampton, but this design has plain glazed double doors and four plain glazed opening windows. 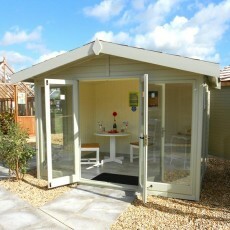 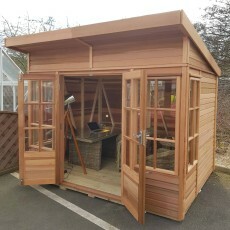 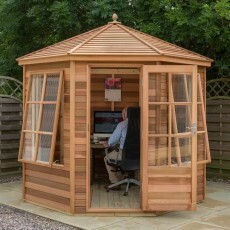 An 8′ x 6′ Cedar summerhouse ideal for a tranquil corner where you can relax, read a book, do the crossword, or even do your office work. 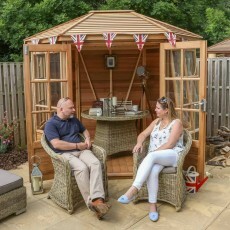 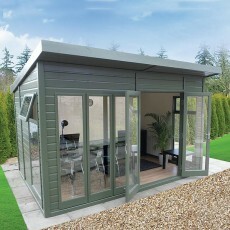 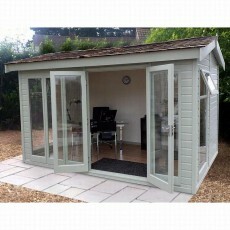 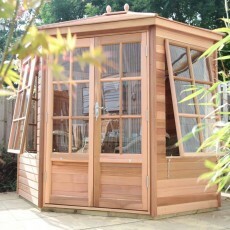 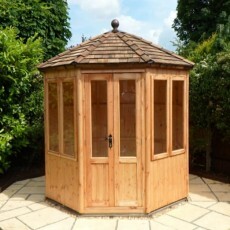 This 8’3″ x 8’3″ Alton Cedar Summerhouse will be a little haven in your garden. 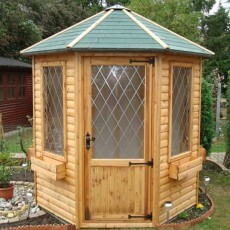 Features opening Georgian windows & 2’2″ wide single door.